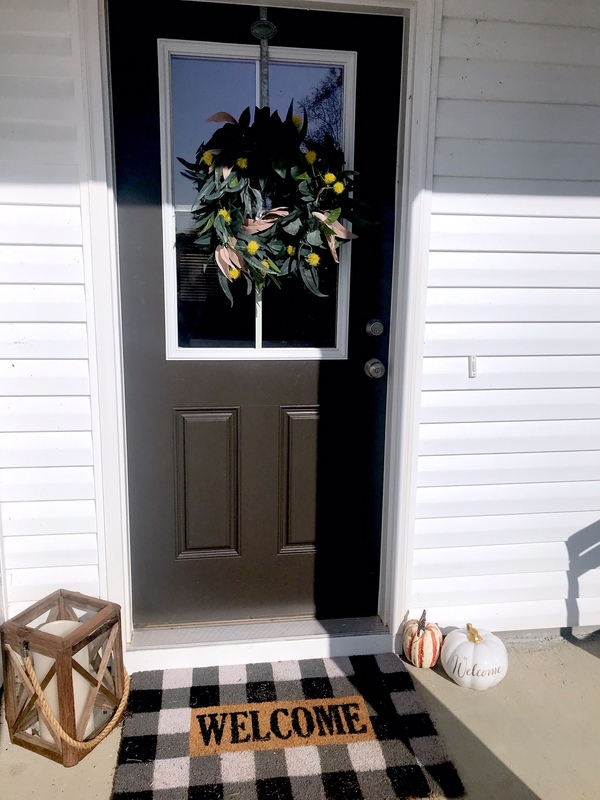 I have been wanting to get this post up for a couple of weeks now, but I needed the time to give it justice. 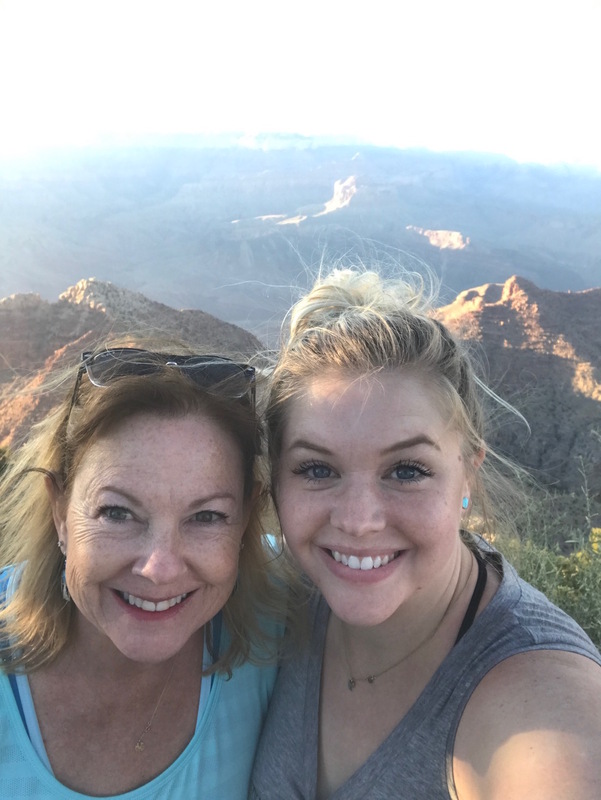 I just saw my mom this past weekend, and we were still talking about how great our trip was. 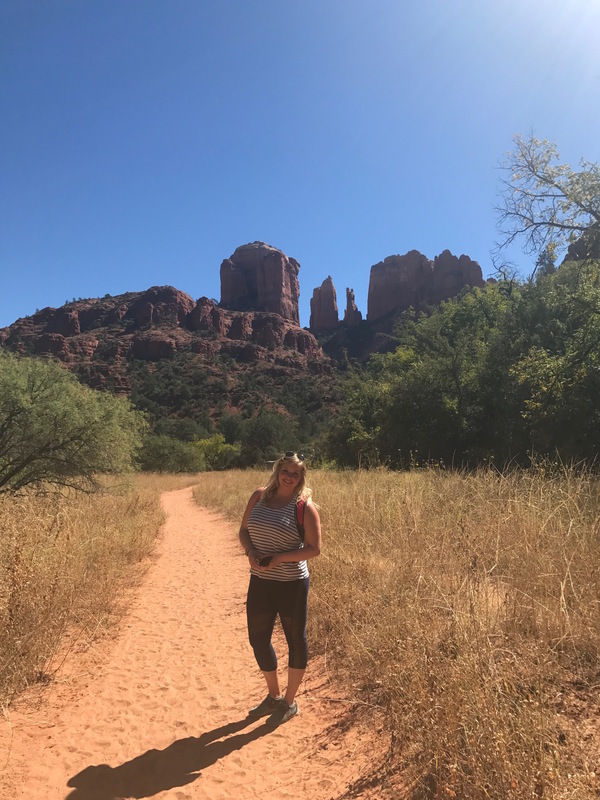 I have been lucky enough to have traveled to some amazing places in my life, but Arizona has easily made its way to my top five! The weather was amazing and the scenery was unlike anything I’ve ever seen before! 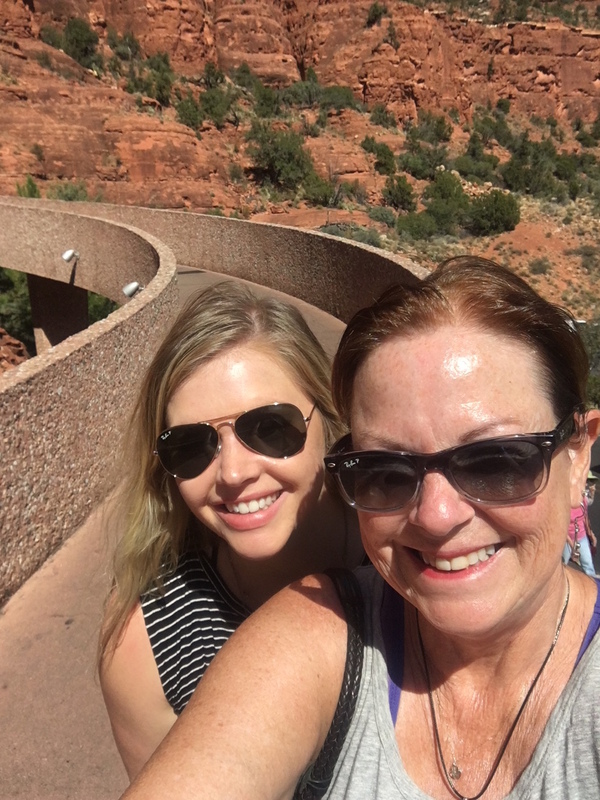 Mom and I stayed in wonderful places, met some cool people, ate great food, hiked a ton, and got to relax and pamper ourselves, too. It was the perfect mix and I still can’t believe I got to see the Grand Canyon! 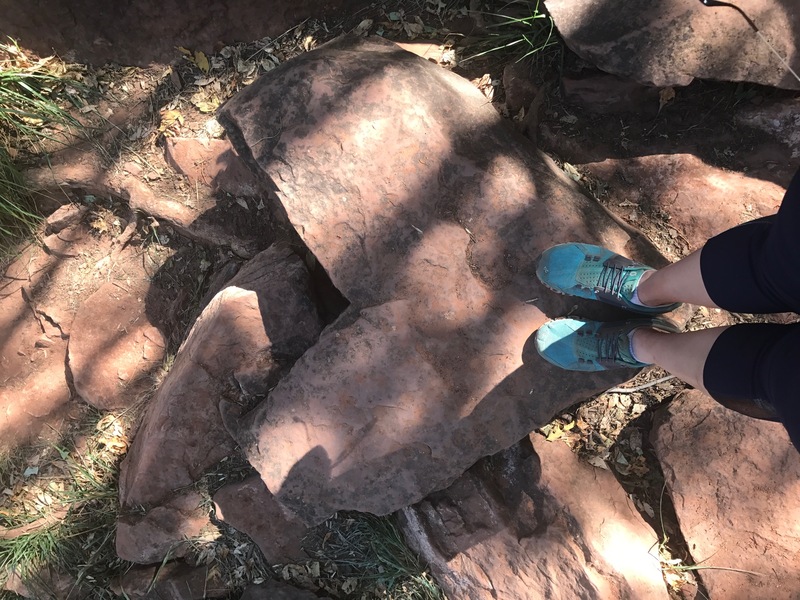 I spent a ton of time researching what to do, where to hike, where to eat, etc. 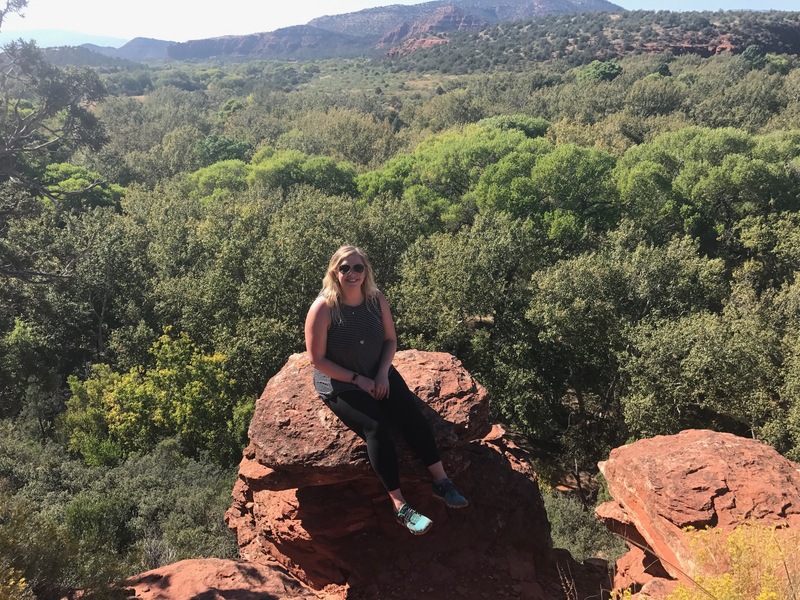 in Arizona and how to make the most out of just a few days there since I’d be missing school (and because $$$). 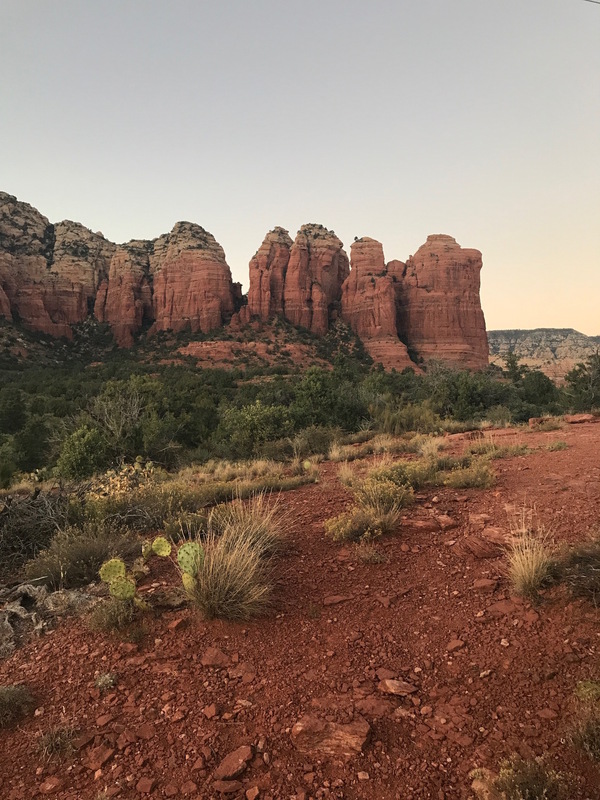 It’s tricky to get to Sedona because you have to fly in through Phoenix and rent a car – it’s about a 2 hour drive. So over the summer, I had planned everything out and we got it all booked. Here’s a breakdown of our amazing trip! 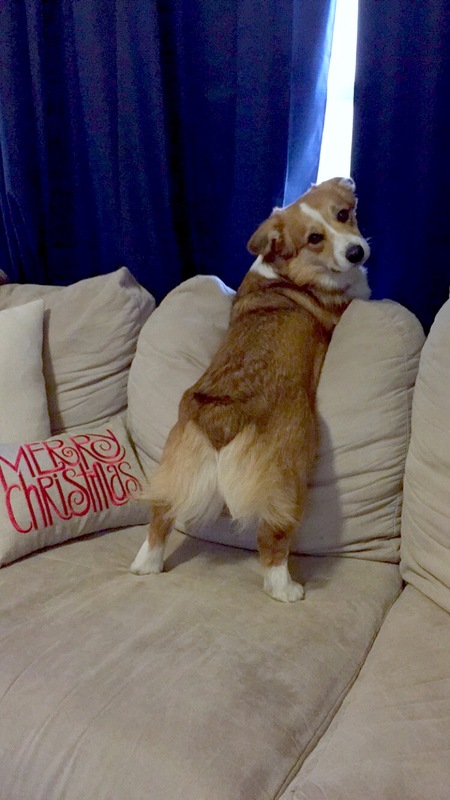 Get ready to tuck in for a long post and lots of pictures! After school, I met mom at my apartment and we headed to the airport. We were able to get a non-stop flight (it’s about 4.5 hours). 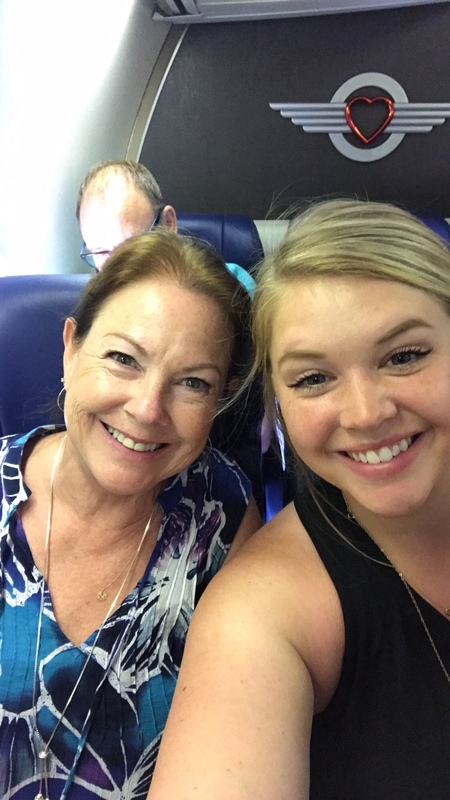 We landed in Phoenix and got our rental car; we were both starving and I had been dreaming of an In-N-Out burger for weeks, so that was our first stop and Mom’s first experience with In-N-Out! 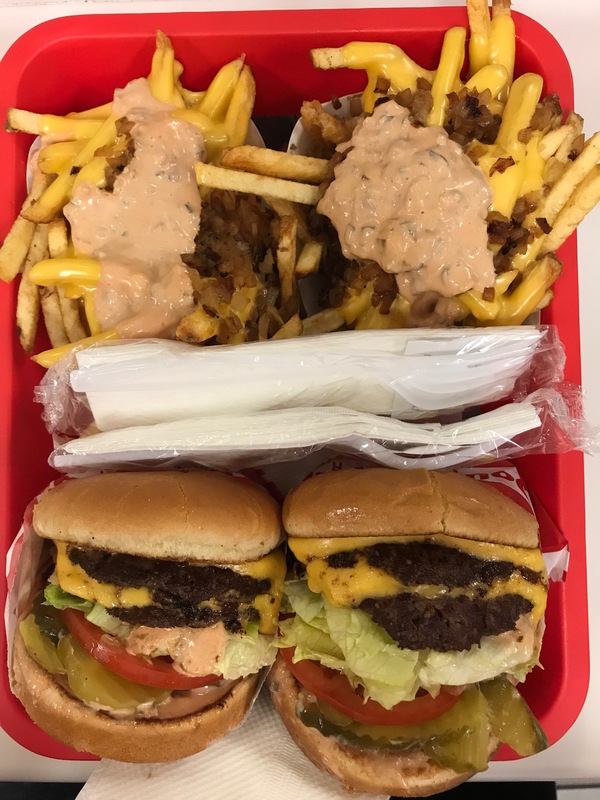 I don’t know if we were that hungry or if it’s just because it’s that good, but I felt like it was the best burger I’ve ever eaten (of course we got everything animal style with 1,000 island dressing, grilled onions, and melted cheese!). If you ever make it to the west coast, you HAVE to make this a priority. We drove for what seemed like 18 hours (really about two and a half) and finally made it to our perfect little Airbnb, which was a guest house with a rooftop terrace overlooking Thunder Mountain! 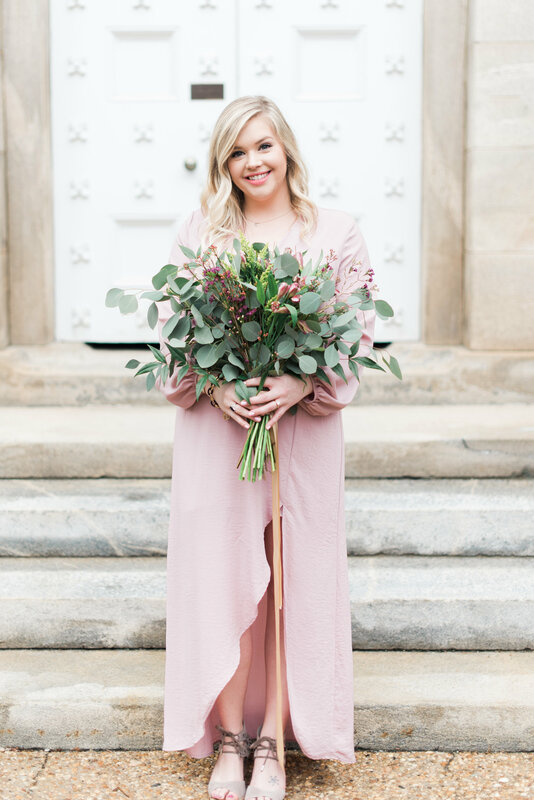 It was the perfect location and our host had thought of every little detail. We were so tired from traveling so we just went straight to bed! 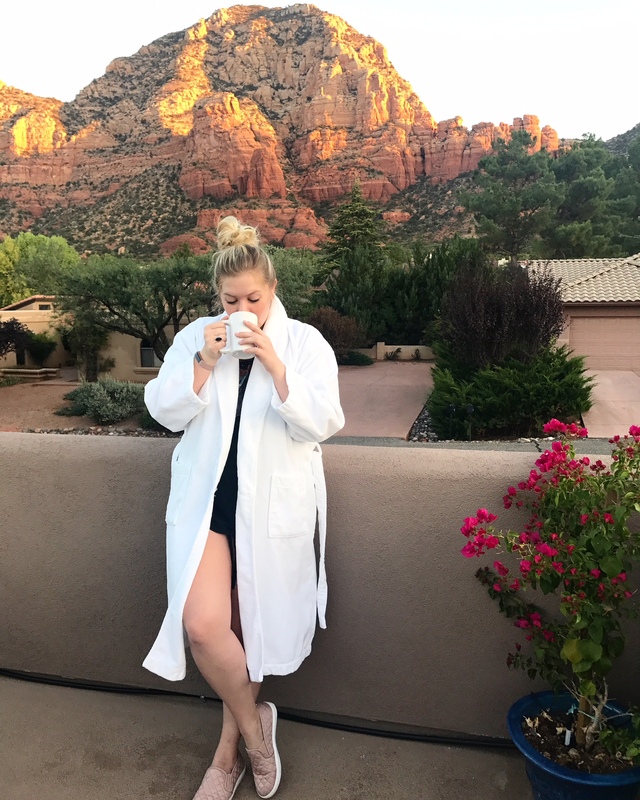 On our second day, we woke up early so we could have coffee on the terrace and watch the sun come up over Thunder Mountain. It was so beautiful! 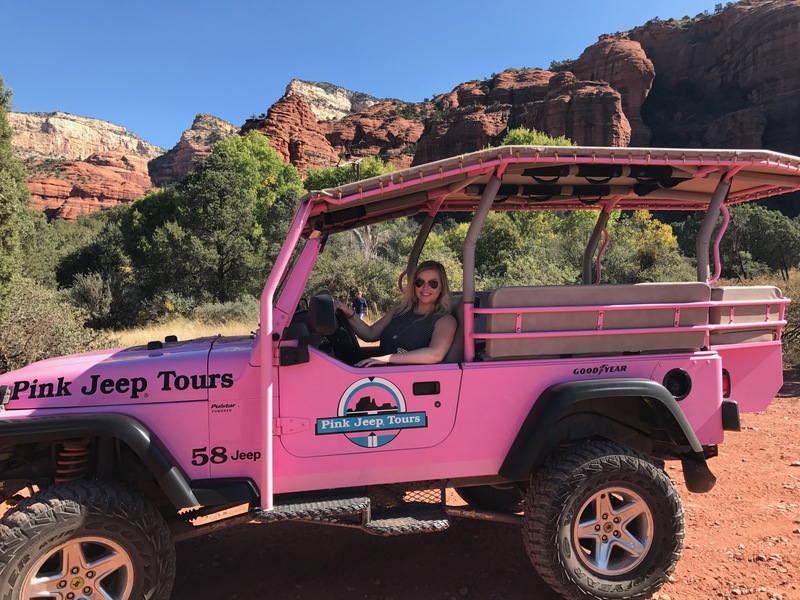 Afterwards, we got ready and headed out to our Pink Jeep tour! We chose the Red Rock Tour and had such an amazing tour guide. We got to stop off at a few places for pictures, and the tour lasted about two hours. 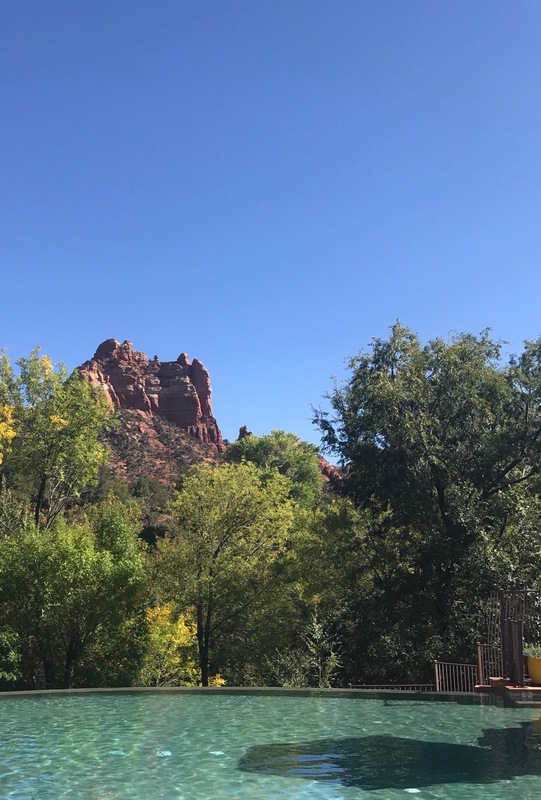 After our jeep tour, we spent a few hours hanging around in town in Sedona. We had lunch at Wildflower Bread Company, which has a patio with a great view of Snoopy Rock! We walked up and down Main Street and went into some shops to look for souvenirs. Afterwards, we walked back to our car and drove to Cathedral rock. It was a really great hike and makes its way all the way down to Oak Creek if you take a side trail. We didn’t make it all the way down because it was getting late in the day and we had other items on our agenda! 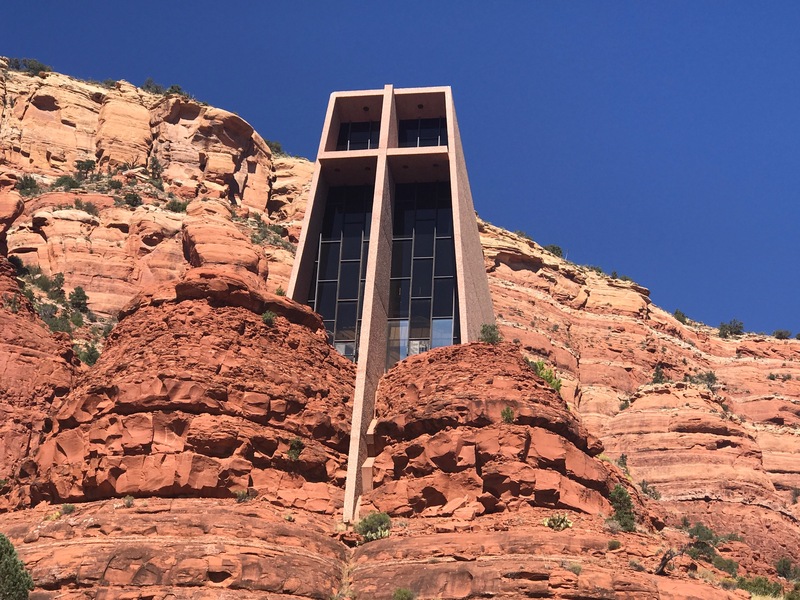 We drove to the Chapel of the Holy Cross and it was such an amazing and beautiful sight. Finally, we rounded out our day by doing a quick hike of Sugarloaf Mountain at sunset. It was incredible to see all the rocks turning more and more red in the orange/red sunlight! We showered and got ready for dinner! We ate at Elote, a place I had read rave reviews about. We had a delicious and fresh margarita on the patio while we waited, and they handed out little bowls of popcorn for people to munch on while they waited for a table! The food and atmosphere were both great. We made it back home late, but took a few minutes to sit on the terrace and look at all the stars before bedtime! There is very little light pollution in Sedona, so the stars were incredible, even with a full moon! 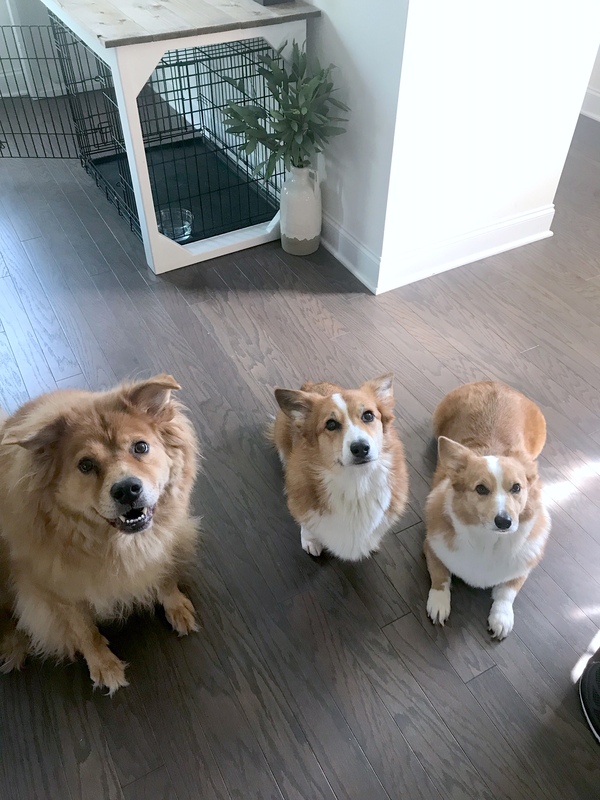 We woke up on our third day in Arizona and checked out of our Airbnb. We were so sad to have to check out because it was a perfect place to stay, but it was already booked for the following night! 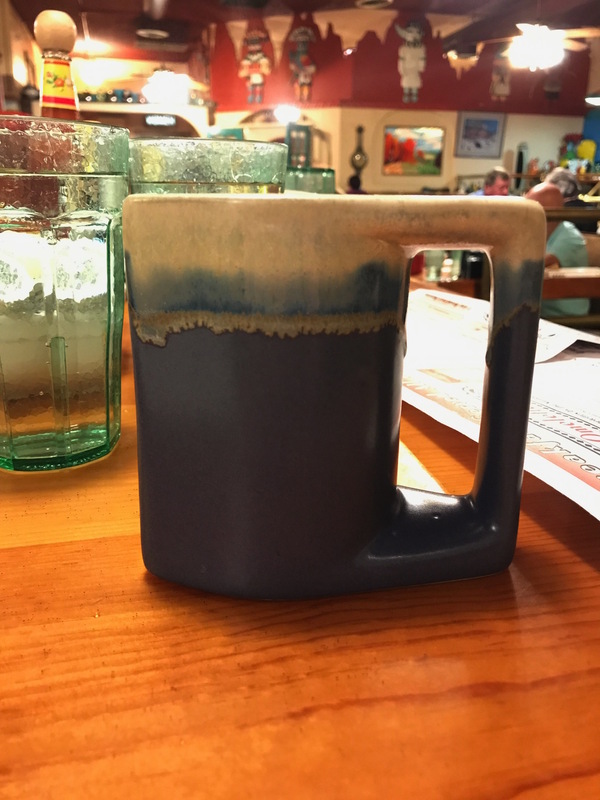 We ate breakfast at The Coffee Pot, a local favorite and a cool little diner with a gift shop attached (there is a rock formation called Coffee Pot behind the restaurant). coffee at the coffee pot – see what i did there?! We had a big day ahead of us with a lot of driving to do! 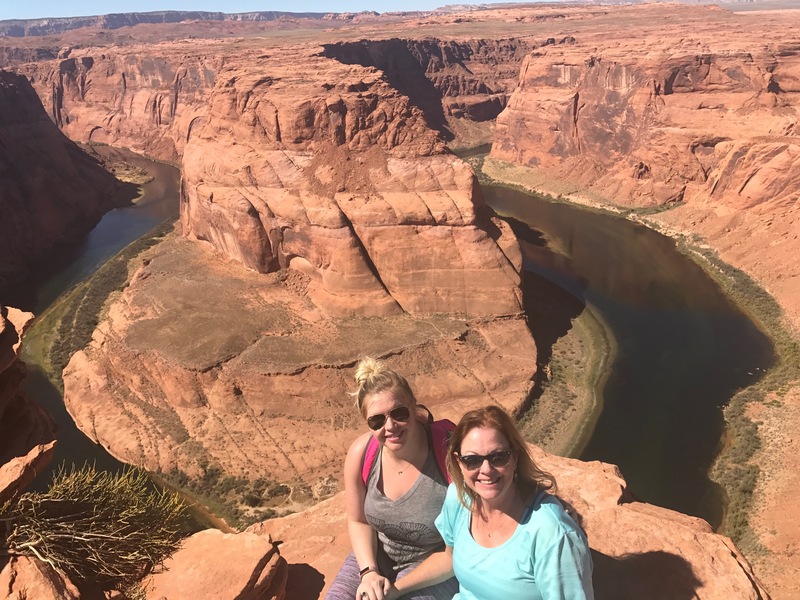 At first, we had decided just to head to the Grand Canyon, but our Pink Jeep tour guide convinced us to drive to Page, AZ to see Horseshoe bend and Antelope Canyon. I am so glad we took his advice! It was a long day – four hours driving there and four hours back – but so worth it. We got to Page and stopped at Horseshoe Bend first. 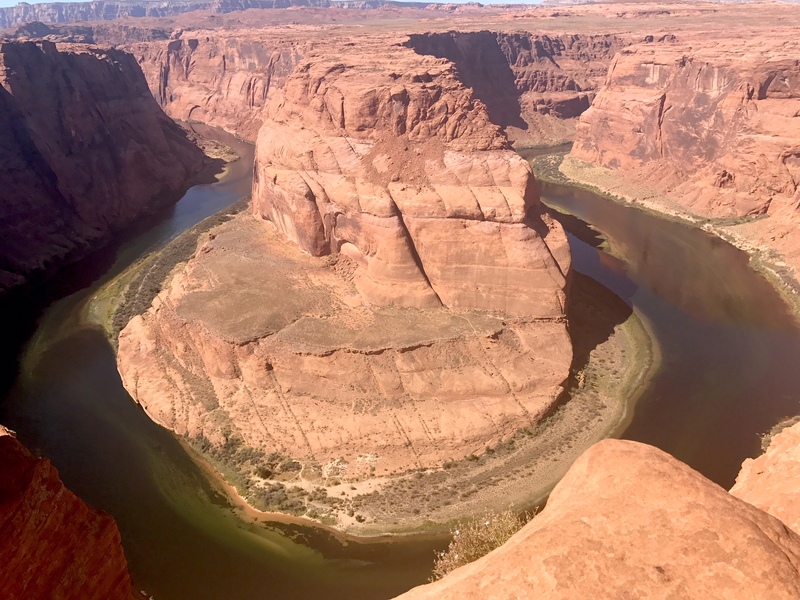 It’s where the Colorado River makes a horseshoe-shaped turn (hence the name!). Pictures of it are amazing, but I can’t explain how incredible and massive it was in real life. The colors are unreal. This was one of my favorite things about the entire trip. 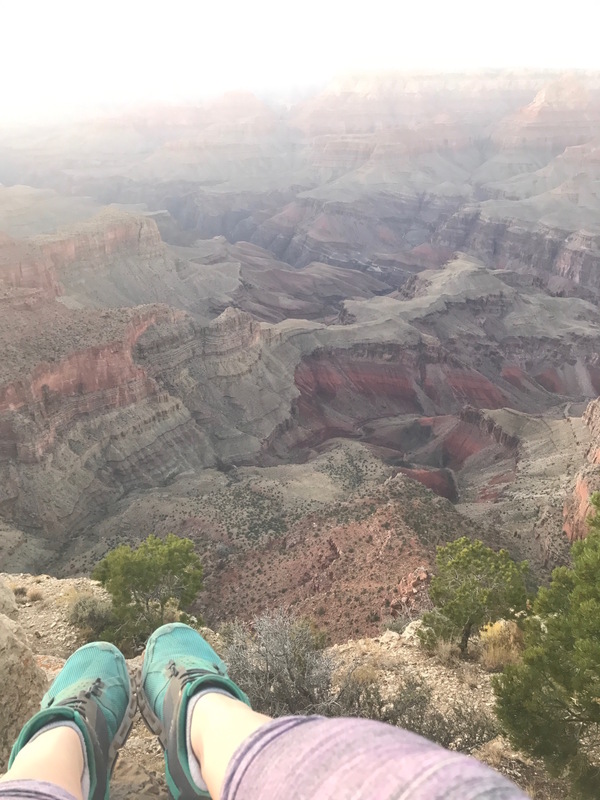 We drove to Antelope Canyon which is supposed to be incredible, but there was such a wait to see it and we still needed to hit the Grand Canyon, so we had to pass on that. But we were so excited from Horseshoe Bend that it was okay! 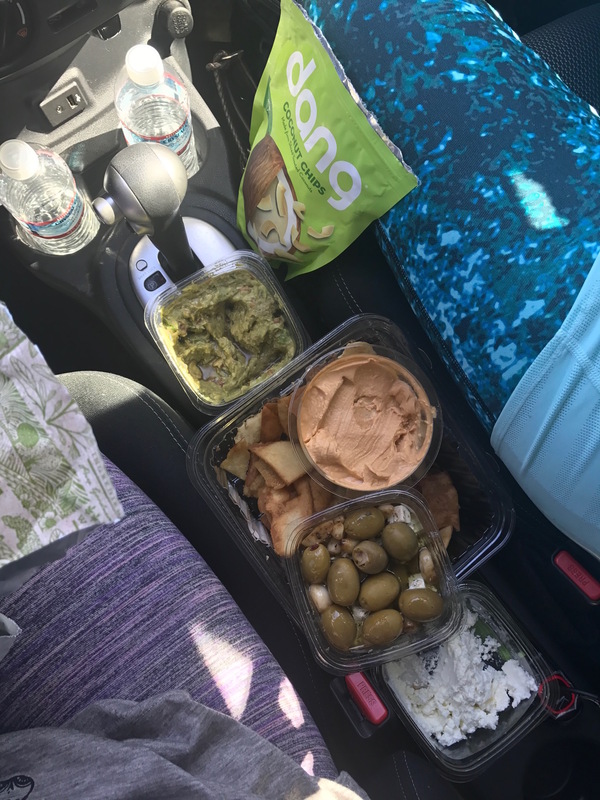 We had a little picnic in the car and headed back to stop along the way and see the Grand Canyon. 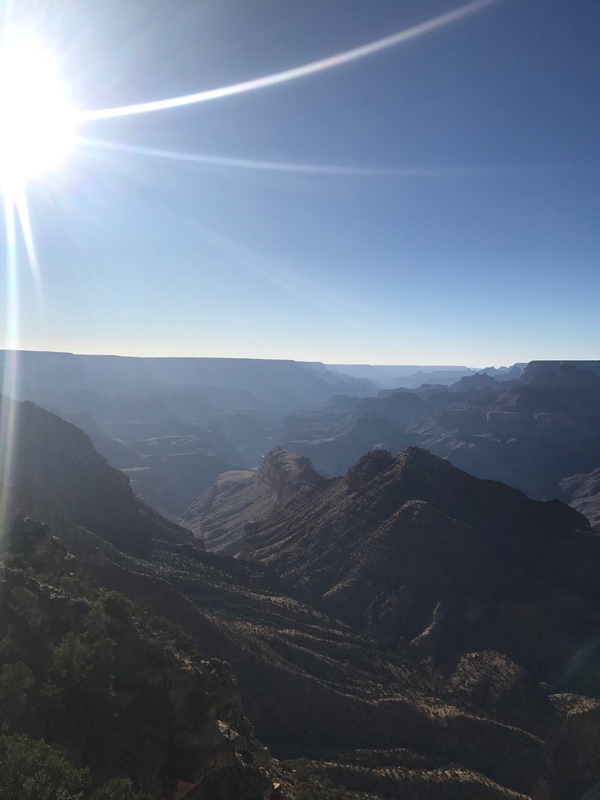 We had originally planned to do the South Rim entrance of the Canyon and do a couple of small trails I read about, but with our detour to Page, AZ we came in on the east entrance at Desert View. 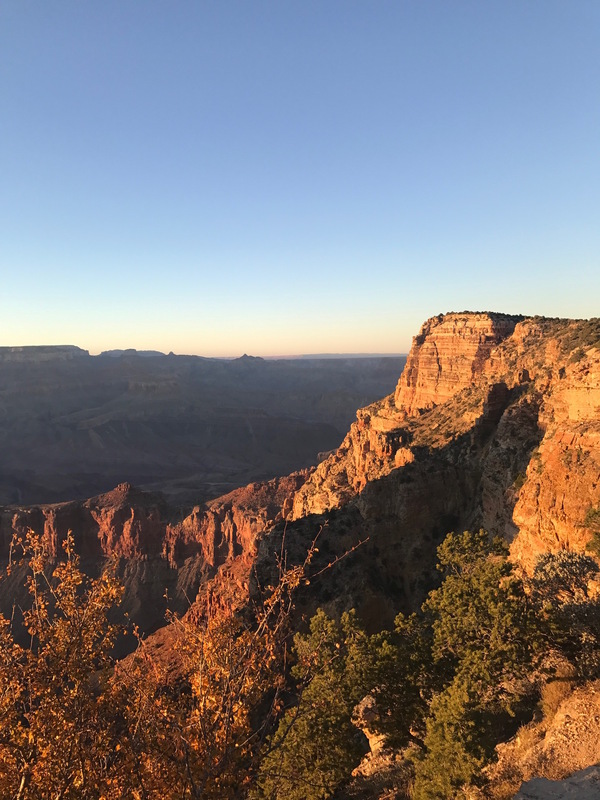 There weren’t any hiking trails, which was a little disappointing to me, but we did do a 25 mile scenic drive with overlooks along the way, and we got to see the Canyon as the sun was setting and with the huge orange harvest moon. Pictures do nothing to truly capture this; it was such an incredible sight! I can’t explain the feeling of being so small in such a vast world. It sounds nerdy, but it was just a really crazy feeling and experience. 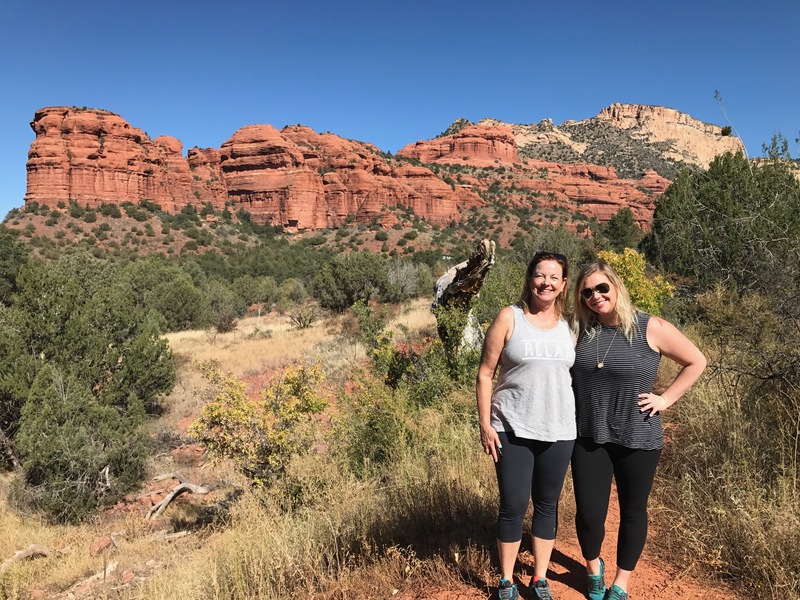 After our big day to Horseshoe Bend and the Grand Canyon, we drove back to Sedona and checked in to our second hotel, Amara resort! They had left some champagne and treats for my 30th birthday, which was a thoughtful touch! 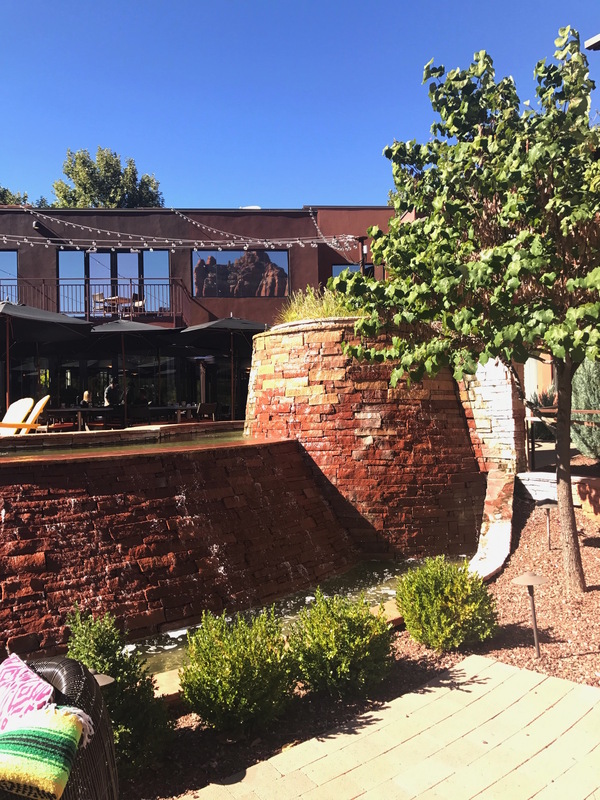 The hotel is gorgeous and tucked away off of the main street in downtown Sedona. This was our big spa day to pamper ourselves after all of our adventuring and hiking. Our poor feet definitely needed it! 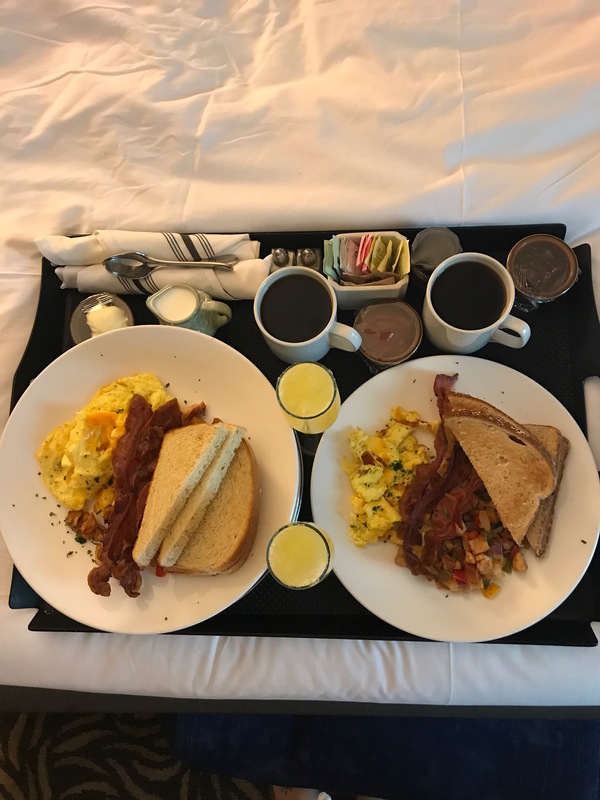 We had breakfast in the room from room service (Amara’s restaurant is SaltRock and it was all so delicious). Then, we walked to the spa to check in for our appointments! We both had relaxation massages and facials, which was so divine. The entire spa was so cute, relaxing, and the staff was very knowledgeable and friendly. We had hot tea and a sparkling pomegranate juice toast afterwards and hung out in the relaxation room for a while. We spent the rest of our day by the infinity pool overlooking Snoopy rock formation, sipping margaritas (and water!!! ), having lunch from the hotel, and reading/floating/lounging. It was the life! Then we went back to our hotel room, showered and got ready, and went down for the manager’s wine hour (Kimpton hotels do a complimentary wine hour every day from 5-6pm). 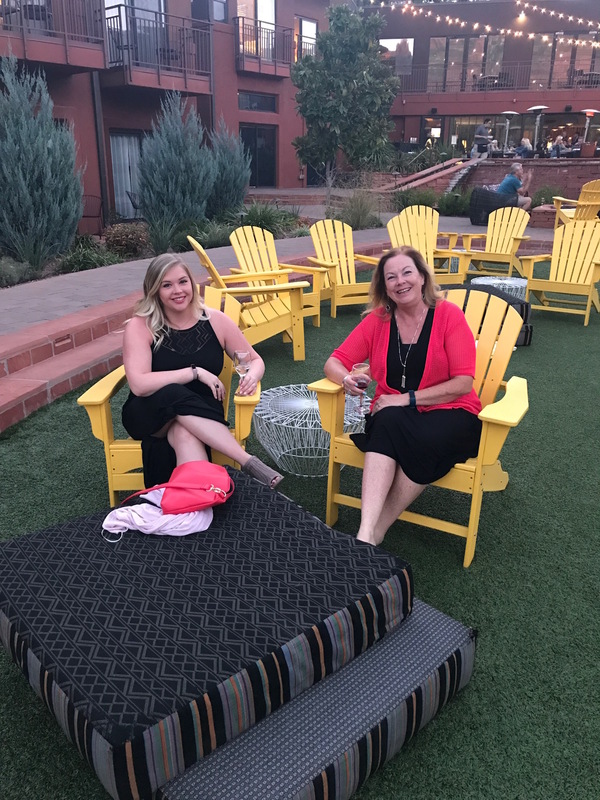 We sat out on the hotel patio/lawn under the market lights and just chatted and enjoyed ourselves! 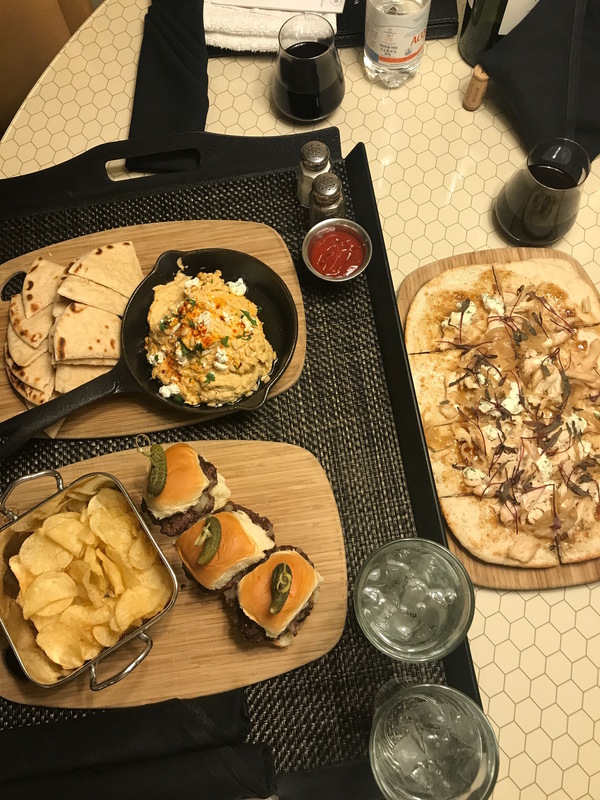 We ended the night with a long, late dinner on the patio at the SaltRock kitchen restaurant with absolutely delectable food. Our last day in Sedona! I will forever miss this quiet little town. We woke up and had breakfast at the resort right next to ours. 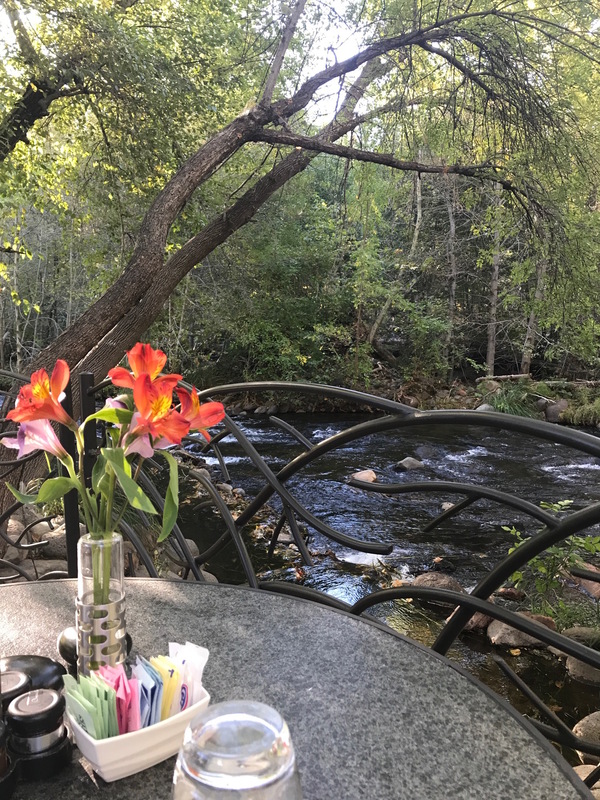 Their restaurant is called Cress at Oak Creek, and we sat at a table right by the water. It was honestly one of my favorite experiences of the trip! So beautiful, and different scenery than the red rocks and desert we had been seeing the entire trip. 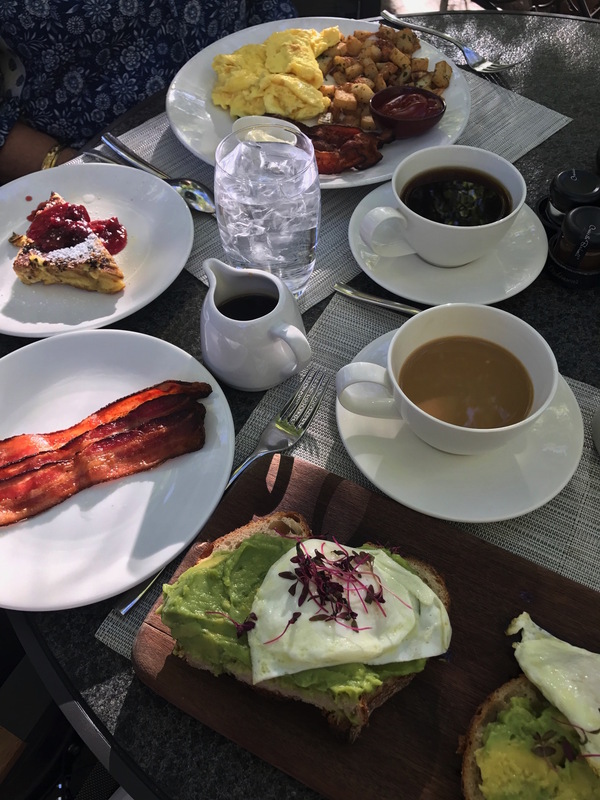 We had the best time at our breakfast, and the food was amazing, of course. We checked out of our hotel and headed out for a last hike before driving back to Phoenix for the night. 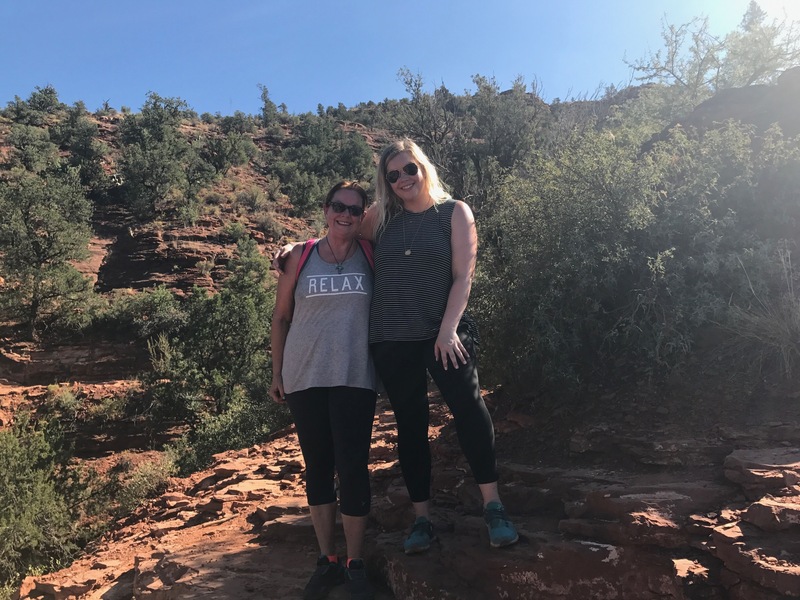 We hiked Baldwin trail to Templeton trail to Oak Creek! This is the creek we hadn’t made it to the day we did our Cathedral rock hike, so we were really glad to be able to feel like we completed that! It was a beautiful hike, perfect weather, and the creek was so peaceful. After our last hike, we ate at Open Range Grill and Tavern for a late lunch in downtown Sedona. We had a cactus cheese dip which was so delicious, and we each got a prickly pear margarita! 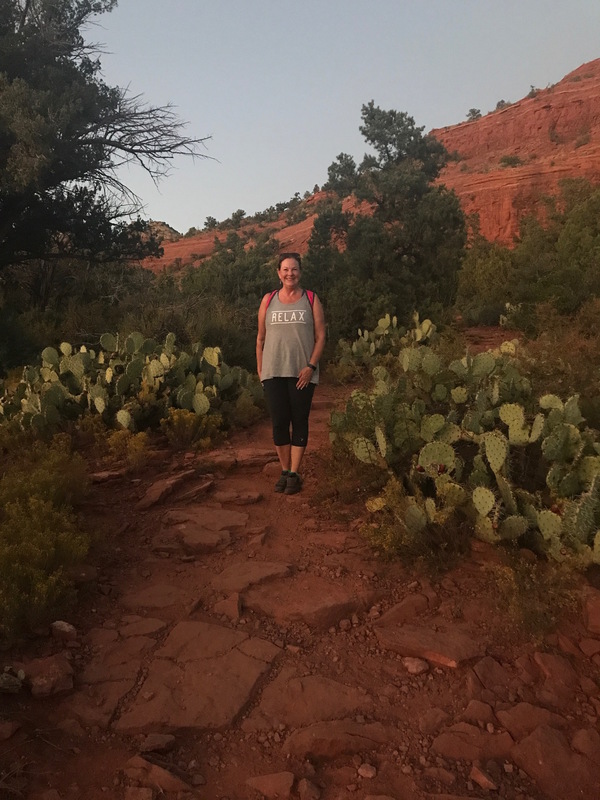 The prickly pear cactus is everywhere in Sedona so we felt like we had to! They were just okay, haha – a little sweet for our liking. After lunch, we drove back to Phoenix where we had to fly out from. 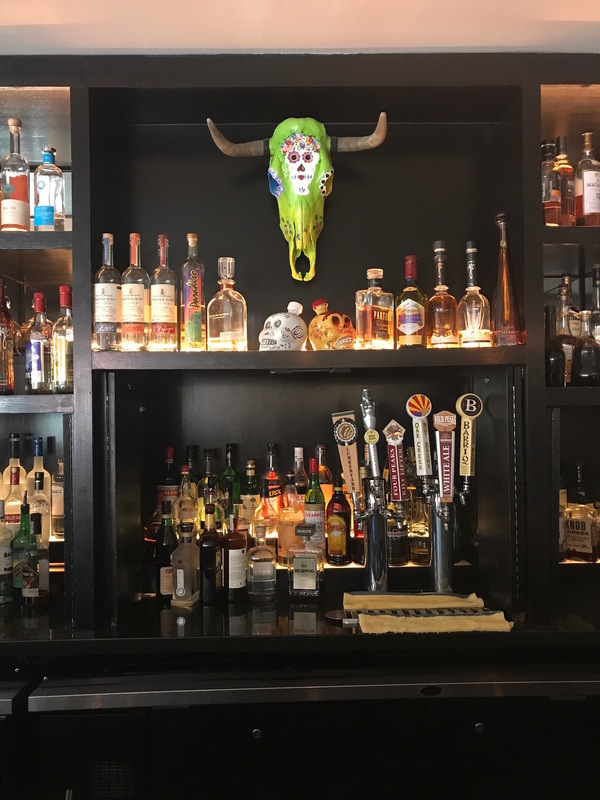 We stayed at the Hotel Palomar (another Kimpton Hotel). They had another celebration package for me on our arrival – more champagne and a delicious peanut butter chocolate mousse cake! 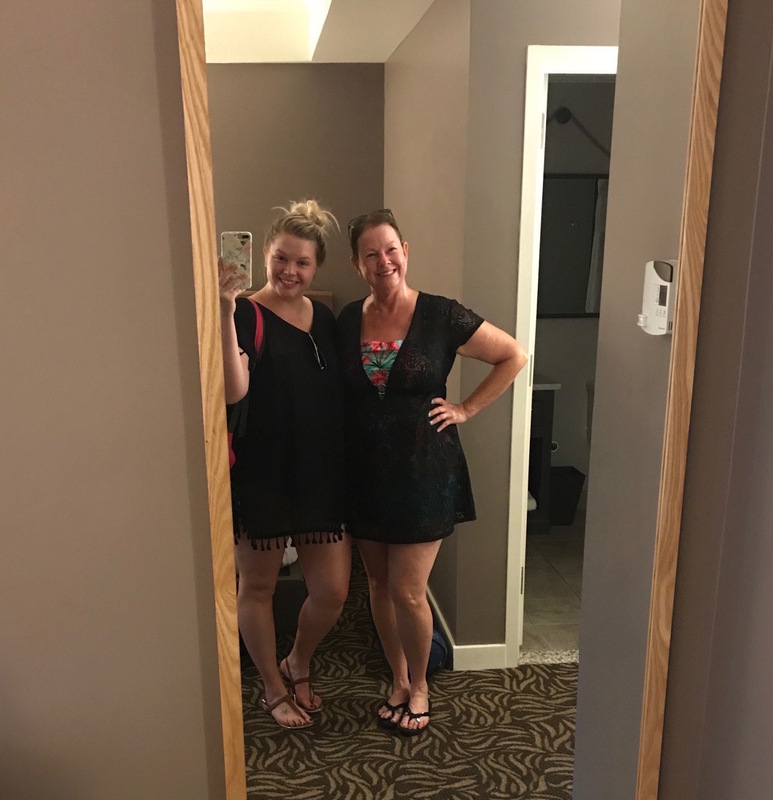 We packed up to be ready to leave the next day, ordered room service for dinner, showered, did face masks, and relaxed because we were so beat from our trip! Sunday was basically just a travel day. We woke up, had coffee and breakfast, and drove to the airport to return our rental car and fly home! We had another non-stop flight, but this time we lost 3 hours going back home, so it was late by the time we got in and we had dinner with Andrew and then pretty much fell right to sleep! 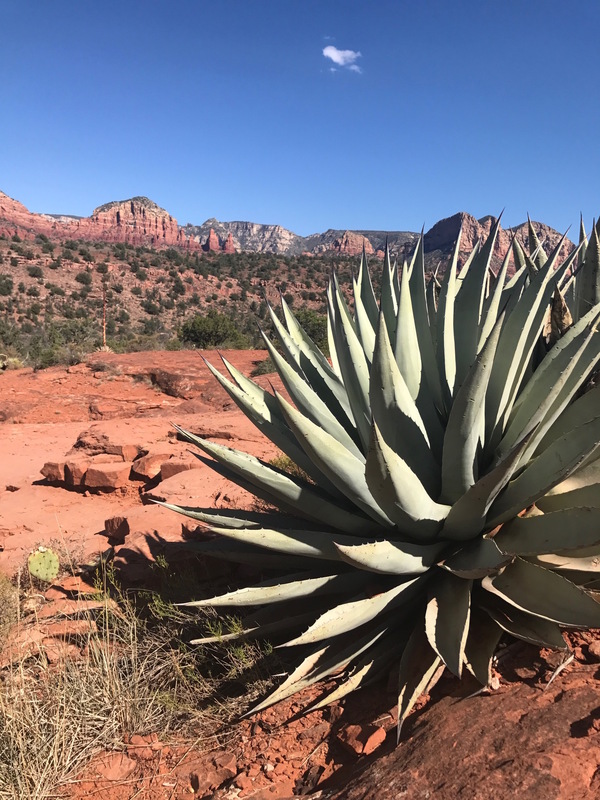 My only regret from the trip is that I didn’t follow my friend’s advice; she lived in AZ for a while and told me to hug a cactus for her – but that wouldn’t be safe, so I had to make a smart personal decision ? Those are the most basic basics of our trip! I would love to make my way back to Arizona again, because there’s just so much to do there that 5 days barely even scratches the surface. But my mom and I packed in as much as we possibly could, and we had such a blast together. It was one of those “life” moments that I’ve mentioned before where you just really feel alive and appreciate everything so much. I’m incredibly lucky that she gifted me with this trip for my 30th and couldn’t have asked for anything more!